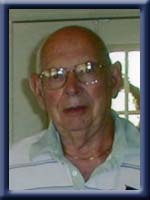 Blackbird, Ernest “Ernie” Roy, 84, of Voglers Cove, passed away on Friday, March 23rd, 2012, in the Harbour Veiw Haven, Home for Special Care, Lunenburg. Born in Port Alfred, Quebec, he was the son of the late Roy and Eileen (Arsenault) Blackbird. Ernie was employed as a paper maker for over 40 years at the Bowater Mersey Paper Company, retiring in 1987. During his time there he was very active in the Paperworkers Union, serving as an officer for many years . He was a former member of the Mersey Bowater Band. The only thing that could surpass Ernie’s love of the outdoors was the love he had for his beloved animals. He is survived by daughters Laurie (Chris) Meadows, of Stellarton, Janet (Carl)Whynot, of Bridgewater; son Stephen (Carole), of Kentville. ; grandchildren Raegan Meadows (Todd Osmond), of Petawawa, Ontario, Devin (Jayme) Meadows, of Lower Sackville, Tasha (Adam) Haverstock, of West Porters Lake, Kari (Jeremy) Wagner, of Bridgewater, Shawn (Michelle) Blackbird, of Hantsport, Andrew (Melanie) Blackbird, of Halifax; great grandchildren Kaelyn, Liam, Hunter, Stella, Drew, Jay. He was predeceased by a sister Evelyn. I was greatly saddened to read in Queens County Times of Ernie,s passing . we were great boyhood pals sharing good times ,girl friends, playing in the school band . same class in school . A s I sit typing there is a flood of so many good times.just want to join his family and friends in sharing our loss and extend my deepest sympathy to those left behind. Our deepest sympathy to all the Blackbird family. Bev worked with Ernie for many years in the paper dept. Our thoughts and prayers are with you all at this time. Janet, Laurie and families, our thoughts are with you at this time. He will be missed by many. Our condolences to you and all your family.We were saddened to hear of your Dad’s passing,we always enjoyed our chats with him.Our thoughts are with you all at this time. I was saddened to hear of your Dad’s passing. Please know that you are in my thoughts and prayers at this most difficult time. I worked with Ernie in the mill and have some good memories of him.I use to meet Ernie at Waves Restaurant every now and then and we would have a good old chat.My condolence to the family,may he rest in peace. Janet and family: so very sorry to hear of Ernie’s passing. He was such a great guy and we loved to see him pull in to the garage with his Corvette. We have very fond memories of Ernie. Our thoughts are with you all at this sad time. God bless. We were so saddened to hear of the loss of your father. We all had a great admiration for your father. He was a great man. He had many great qualities; kindness, compassion and a great sense of humor to name a few. He will be missed by all who knew him. Remember all the great times that you all had together and he will never be far away. He will remain in your hearts forever. Our thoughts are with you and your family at this sad time. Ernie was a great man and I always enjoyed my chatting with him at the mall. He truly had a deep love for animals and often talked of his pets in our conversations. Anything that we can do for you, please do not hesitate to ask. You were a wonderful help to me when I lost my Mother, so hopefully I can do something to make things easier for you. Try to remember the good times, it will help get you through the sad times. We are very sorry for the loss of your father and grandfather. He was a kind and friendly man and will be truly missed. We often chatted when he made his daily stops at Bob and the Boys Farm Market. May your many wonderful memories help you through the days and months to come. We are thinking of you. Sorry to hear of the loss of your father. We are thinking of you and offering our sincere sympathy to you both. So sorry to hear of your Fathers passing. My thoughts are with you in this difficult time. Leon and I enjoyed having breakfast at Lanes with your Dad.Also we enjoyed his stories. Our deepest sympathy to all the family and your good memories will help. So very sorry to hear of your Father’s Passing. We will keep you in our thoughts and prayers. Cherish the memories. To Janet and family so sorry to hear of your Dad’s passing –Just to let you know that my thoughts are with you all at this sad and difficult time. So sorry to see in today’s CH that your dad passed away. I extend our deepest sympathy to you at this time. Janet and all the family, Please know you are in our thoughts, our deepest sympathy is extended to you all. Please accept our condolences in the passing of Ernie. Our thoughts are prayers are with you at this most difficult time. I was sorry to learn of your dad’s/grandfather’s passing. Janet, although I did not know your father personally, I am aware that you have spent time and took care to make sure that he was well looked after. I extend to you all my sincere sympathy. May knowing that you are in friends thoughts, help ease this difficult time for you all. We are sorry to hear of your father’s, grandfather’s passing. We only just saw it in today’s paper. Please know that you are in our thoughts and prayers. If you would like to talk or anything we can help with please feel free to give us a call. I send my most heartfelt sympathy to Janet,Laurie,Stephen and their families.I will always remember the friendship that Ernie offered me after my father passed away.Ernie had known my dad in his younger years and shared some funny stories with me.He will be deeply missed and well remembered. Dear Janet and families. I was very shocked to hear of Ernie’s passing today , the last time I saw him I had a very nice visit with him. I thought I would see him again soon. Its difficult to not have said goodbye but I know he is in a good place and is probably happy. He was a good person and friend and was stubborn which probably helped him live as long as he did. He talked highly of his family . He had a very good life and enjoyed many things. I will miss him. My thoughts are with you at this time. Take care . Wendy Maughan South Shore Vet Hosp. Please accept my condolences,my thoughts and prayers are with you at this difficult time. I’m so sorry to hear about your dad, Laurie. Our thoughts are with you. I wish we could connect sometime when you are down here on the South Shore. Our thoughts and prayers are with you at this most difficult time of sorrow. Love from Bud and Pam. So sorry to hear of your Dads passing. He was a wonderful person and I loved waiting on him when he came to Lanes every sunday. Our thoughts and prayers are with you.May he R I. P.
My heartfelt sympathies go out to you Stephen, Laurie & Janet. May you be comforted by knowing that your dad is in a far better place now. Janet and family soo sorry to hear about your dad…thinking of you…. So sorry to hear, I used to visit Ernie about 3-4 years ago when I worked with Home Support. I last saw him at Bob and the Boys when we were both getting ice cream and he was still up for a good chat! and prayers are with you. Take care and may God comfort you at this sad time in your life.